From time of order, please allow 5-7 working days to complete. We will call you to schedule a pickup once your order has been inspected. Gliding Shelves is a Family based company that started out in our garage in Dublin, CA. 11 years ago. We have since moved to a 1,600 sq. 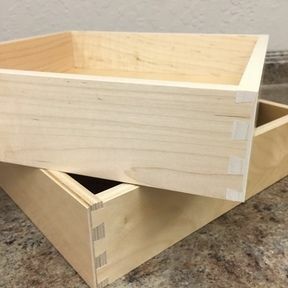 ft. shop in Pleasanton, CA where we manufature our own dovetail drawers.